On April 21st, 120 runners from around the country came together in Evesham to take part in Cotswold Running’s Evesham Half Marathon and Ultramarathon. The two races, based at Jacksons Bar on Waterside, gave participants the opportunity to enjoy the countryside of the Vale and surrounding hills with either a 13.5 mile or 45 mile route. Following months of rain and treacherous mud, the sunny weather served to brighten spirits and dry out the trails, making for excellent running conditions. The 27 miles between the towers on Bredon Hill and Middle Hill, Broadway is broadly the route that inspired us to set up Cotswold Running. It just cries out, “Race on me – I’ll give you a challenge!”. Race day dawned bright and cold, with a forecast for 1mm of rain (let’s call that a full day of sunshine, then!). As we set up HQ, runners arrived, registered, and prepped for the day. We got the chance to meet eventual ultra winner Robbie Britton as he helped us get the marquees up while we waited for the building to open. The staggered start between races made for a nice relaxed hum around HQ as people filtered in and out of the pub. Following a brief remembrance of those affected by the tragic events of the week in Brighton, Boston, and Texas, the runners made their way to the starting line in Hampton. 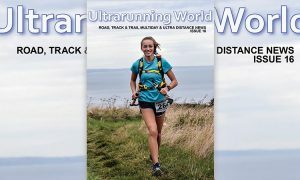 The ultramarathon runners set off at 8:30 on a route that would take them through Charlton, Cropthorne, Elmley Castle, Beckford, Gretton and on to their halfway point at Winchcombe. On their way they crossed Bredon Hill, Alderton Hill, and Langley Hill. Their return to Evesham brought them along the edge of the Cotswold escarpment, via Hailes Abbey, Stanway, Stanton, Broadway Tower, Broadway, Childswickham, and Wickhamford, with plenty more hills to add to the challenge. With over 4500 feet of total ascent, the runners faced an unrelenting battle against the terrain, as both the uphill and downhill gradients tested their strength and endurance. GB International 24-hour racer Robbie Britton from Surrey dominated in the second half to complete the gruelling course in an astonishing six hours and forty-seven minutes, nearly 25 minutes ahead of Herefordshire’s Mark Davies and Londoner Mark Denby. Running her first ultramarathon, Hayley Stockwell, of Stonehouse, Gloucs., won the ladies race in 8:47, passing Stourbridge’s Joan Clarke in the final quarter for a 10 minute lead. London’s Sandra Goldsack finished third, a further 15 minutes behind Stockwell. Having completed a momentous tour of the area, the 48 ultra runners were full of praise for their beautiful surroundings. While the ultramarathon runners were taking in every hill they could see between Bredon and Broadway, the Half Marathon participants enjoyed a somewhat faster and flatter experience. 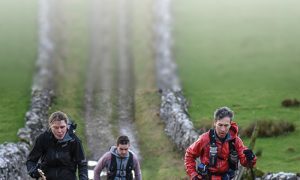 Starting at 10:00, they followed the ultra route for the first 10km From Elmley Castle, they turned east to Kersoe before heading back to Evesham via the Salt Way and Hampton. The mix of experienced and novice trail runners quickly made their way around the route, led by Worcester’s Richard Walsh. 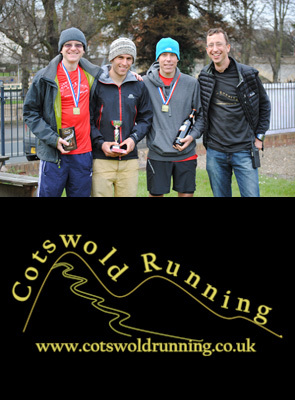 Following up on his third place in Cotswold Running’s Naunton 19 in January, Walsh broke free in the final miles to win just 50 seconds ahead of Evesham’s Phil Cashman and ladies’ winner Susanne Enhard of Newbury. Third man across the line was Gloucester’s James Walters. Evesham’s Jill Moore finished second woman, leading Penelope Barber of Birmingham. As ever, with trail racing, there’s a potential for taking an even more scenic route. At around mile 4, a few signs had some “overnight assistance” which led runners to enjoy a variety of alternatives to the marked course. Fortunately, enough runners had followed the key direction of taking a phone with HQ’s number stored and we got everyone on track without too much extra distance. Next race: The Cotswold Way Centuries, 100 miles, September 21st 2013.